When submitting an essay or other piece of academic work, you need to properly acknowledge the material that you have consulted. This allows others who read your work to verify facts or research the same information more easily. Acknowledgment may be in the form of in text citations, footnotes, endnotes and/or a bibliography. Different citing and referencing styles cater for the specific requirements of different disciplines. Plagiarism is the presentation of another person's work, ideas, or creations as your own, without acknowledging where those ideas came from. In other words - you take credit for someone else's work. In academic writing, this is the same as cheating on an exam. submitting work as your own that someone else has done for you. 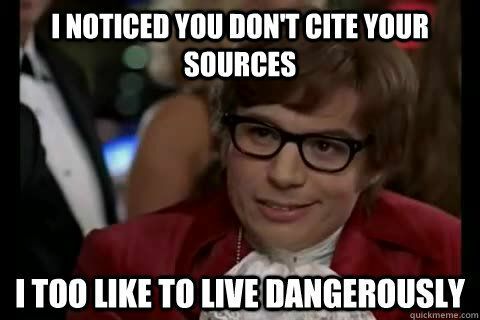 If you have used someone else's work without acknowledging your source, you have plagiarised. recording direct quotes and paraphrases correctly when note taking. When you use the exact words, ideas or images of another person, you are quoting the author. If you do not use quotation marks around the original author's direct words and cite the reference, you are plagiarising. Paraphrasing is when you take someone else's concepts and put them into your own words without changing the original meaning. Even though you are not using the same words you still need to state where the concepts came from. clearly distinguish your own ideas from the ideas of other authors and researchers. Some of the information in this guide has been sourced from Monash University.Thank you to the library staff at Monash University for their generous sharing of these resources.